Even at a 40-year low, there are still around 500,000 businesses being born annually. While there is some concern that this decline could continue, there still must be some reason why these new business owners, many of which are millennials, are willing to take the risk to start their own business. Instead of playing it safe by working for someone, running a small business comes with these seven can’t-beat advantages. This is obvious, but you can’t underestimate the appeal of being your own boss. Even though you still have to report to your customers, suppliers, and the government from time-to-time, more than half of small business owners have started their own business in order to be their own boss. They get to set their own schedules, create the culture of their company, and make the important decisions that will steer their businesses into the future. Unlike larger businesses, the revenue and expenses for a smaller, financially stable business are much easier to manage. That’s why when small businesses experience rapid growth they often face unbudgeted costs in order to cover additional expenses like recruitment, office equipment, and customer acquisition campaigns. This can make forecasting your finances more challenging when creating a budget, for example. Additionally, small businesses don’t have the amount of paperwork that their larger counterparts do. As a result, you can spend more time focusing on slowly growing your business and enjoying a life outside of the company. Perhaps the greatest strength of small businesses is that they can adapt to circumstances both quickly and efficiently. For example, if market conditions or technological advances disrupt your business, you can quickly make the decision to revamp your product range. If a customer has an unusual order, you can drop what you’re doing to accommodate them. What if your child gets sick or you’re invited to speak at a trade event? You can take the time away from work to attend to those last minute circumstances since you don’t have to deal with the bureaucracy and decision-making processes of a large company. Even facets of small businesses that appear like weaknesses can be strengths. Take cash flow, for instance. Since you have a closer eye on the cash that’s coming in and out of your business, you can detect any hemorrhaging before it’s too late. It took years for companies like Kodak to realize how badly they were losing money. There’s often a huge gap between customers and policy makers involved with larger companies. I mean, how often do you get to interact with executives and founders of Fortune 500 companies? Probably never. Small business owners, however, are usually on the front line. This means that they have the opportunity to directly interact with their customers through face-to-face interactions or by responding to customer feedback online. Because of this, small business owners not only build relationships, they can also become aware of any shortcomings. Policies can then be changed as needed immediately. It takes a lot of money to operate a large business. In fact, the larger your business gets, the more time and money you’re going to have to invest in keeping it going. Responsibilities for a large company include HR, utilities, rent, software licensing, hardware, legal and accounting fees, to name a few. While small businesses do have overhead, these expenses can be more easily controlled. Instead of renting an office space, you can start your business in your home. You can also look for inexpensive ways of running your business, such as going paperless and storing documents on the cloud. This way you’re not paying someone to organize your files. 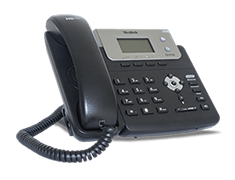 Using VoIP services like Ooma provides advantages as well. 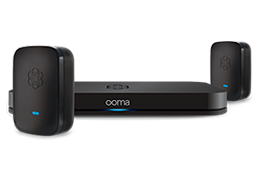 It’s cheaper than using traditional phone providers and, with features like call waiting and being able to receive and make calls through your mobile device with the Ooma Office Mobile App, you don’t have to hire a secretary. On top of being your boss, small business owners are motivated by the idea of creating something. Once they’ve successfully built their business, they can then give back to the community, whether that’s providing jobs or donating to charities. Clear concluded that entrepreneurs have lower incidences of physical and mental illnesses, visit the hospital less often, and report higher levels of life satisfaction. Besides being healthier, being your own boss makes you happier. According to a survey of 11,000 Wharton graduates about their happiness levels, those who were running their own businesses were the happiest of the grads – no matter how much money they were earning. Flexibility, over head cost etc is very important, Thank you for wrting details about these. Hi @Kin, thanks for the post. Every single tip you gave is very powerful and need to be studied before it’s applied.